Following their exit from The X Factor, their debut single "Miss Movin' On" was released and was later certified Gold in the US. 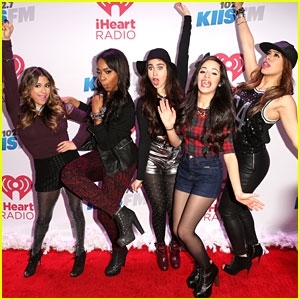 Their debut EP, Better Together was released in 2013 with a first week position of number six on the US Billboard 200. The following year, they won the Artist to Watch award at the MTV Video Music Awards. The group released their debut studio album, Reflection in February 2015. It debuted at number five on the Billboard 200, with 80,000 units sold in the first week and was supported by the group's first major headlining tour, the Reflection Tour. The album was supported by the singles "BO$$", "Sledgehammer" and the US Double Platinum "Worth It". The latter also became the group's first top 20 single on the Billboard Hot 100, and reached the top 10 in eight other countries. Fifth Harmony has emerged as the most successful alumni from the X Factor US franchise.